This word has become a favorite of scoundrals and tyrants alike. Even those who are good hearted tend to use it carelessly and without regard to those of us who have grown to cringe everytime we hear it. This vile, 4-letter ‘F’ Word I’m referring to is the word ‘fair’ and its various forms of adjectives and adverbs. The concept of “fairness” is probably the most subjective possible. It is an immeasurable standard that can easily bend with any political winds or cultural fads of the moment. 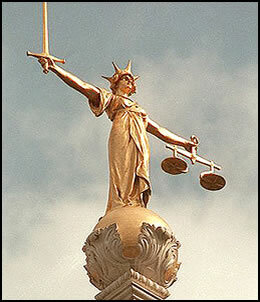 In all but the most exceptional cases, true fairness is simply immeasurable. This fact hardly prevents the promise of “fair” from being used as a political bludgeon. Selfish concerns are always masked within concerns “for the people” and these people are often drawn in by an idealistic concept that appeals to our human sense of justice. Further, we’ve all experienced situations in life where we felt like we were treated unfairly and the crafty demogogue will always be able to tap into and exploit this resentment. On the other hand, if we have all received or perceived unfairness then it is logical that we’ve all been on the other side of the equasion and perpetrated some “unfairness” towards others, perhaps without ever consciously realizing it; but at the same time, we don’t have a strong desire to have such fair justice doled against us by some outside entity, so the math never really adds up. As you can see, Friedman was absolutely right as the “big three” networks no longer dominate since the doctrine was revoked and consumers now have thousands of options across the cultural and political spectrum. I’d like to point out that there are two distinct plains on which equality can be measured in a society – equality of opportunity and equality of results. The first of these is an absolute mandate for government and has largely been acheived through the Declaration of Independence, Constitution, Immancapation Proclamation and various civil rights laws. The second of these is not a noble pursuit and attempts at implementation only lead to tyranny and misery. For a nice analogy, consider the National Football League. Perhaps the most successful “socialist” system in the world, the NFL provides equality of opportunity by having a closed system of 32 teams which draw from the exact same draft pool, share all merchandising revenue, and are regulated to the point that teams cannot make uniform changes without permission from the commissioner. In spite of this, there is nowhere close to “equality of results” in the league. Of the 44 Super Bowl championships, 75% (33) have gone to just 25% of the franchises (8 teams – Pittsburgh, San Francisco, Dallas, Green Bay, N.Y. Giants, Oakland, Washington, and New England). Conversely, 44% of the franchises (14 teams) have zero Super Bowl championships. This is quite a “wealth gap”, wouldn’t you say? But how absurd would be the notion if, say one of those 6 Lombardi trophies in Pittsburgh was confiscated and “re-distributed” to Philadelphia in the name of “fairness”? But this absurd, second plane is where all the futile political battles today. And of course, “fairness” in the political realm is predominantly tied to tax rates and exploiting the envy that the ‘haves-nots’ harbor against the ‘haves’. I touched on this in last week’s article when I put a spotlight on how the President and other politicians combine millionaires and billionaires in their rhetoric (and how this is like classifying dimes and hundred dollar bills together). I also find it interesting how the purveyors of a progressive tax system never advocate starting at the top with tax rates and progressively working their way down but instead arbitraily pick some income level in the middle ($250K, $500K, $1 million, etc). This fact shows the shallowness of that argument about fairness. On the other end of the economic spectrum, 47% of citizens pay absolutely nothing in federal income tax. How is this fair? I personally know a young woman who is about half my age and a true doctrinaire of any of the various left-wing causes of the day, frequently rallying against the “1%” and the “unfairness” of the wealth gap. Now, I know of at least a half dozen trips to Europe that this person has taken in her young life due to family connections, while at the same time I have never been off of the continent in close to a half century on Earth. What about that unfairness? What if some controlling entity decided to ban this woman from traveling abroad again until the rest of us catch up or at least close the “travel gap”. Careful what you wish for, or you too may someday be on the receiving end of what is “fair”. 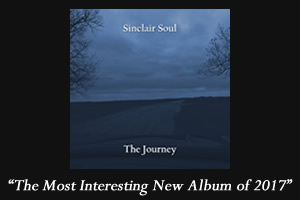 Sinclair Soul is a championship-level background singer and philosopher who specializes in examining the state of American culture from a “Soul” perspective.